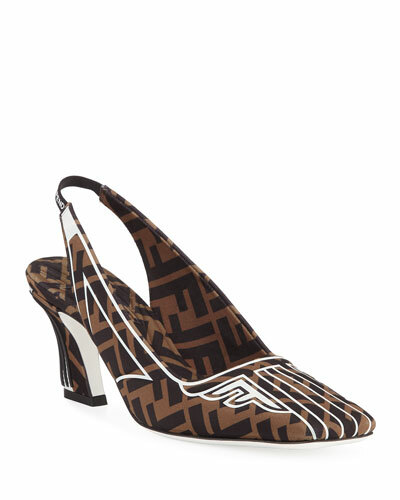 Every collection of Fendi shoes for women showcases Italian tradition and more than 90 years of thought-provoking style. 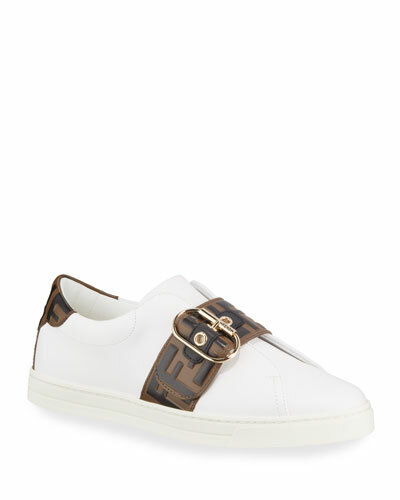 Fendi boots, for example, completely transform a look, whether it’s a city-inspired blouse-and-shorts ensemble or a floral-print dress. 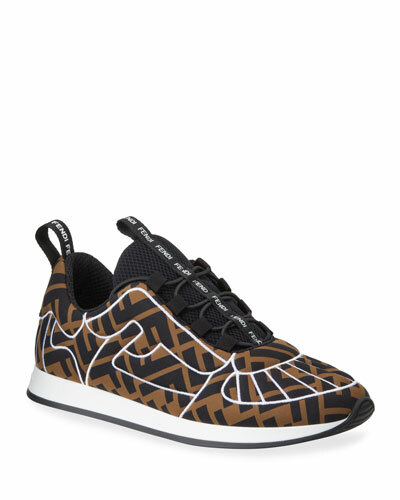 Leave your high heels at home from time to time, and step out in graphic-printed Fendi flats or sneakers with colorful, contrasting prints. 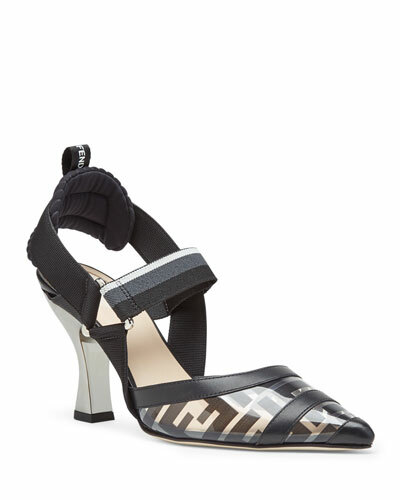 A flowing Fendi skirt ensures an angled block-heel gets the attention it deserves. 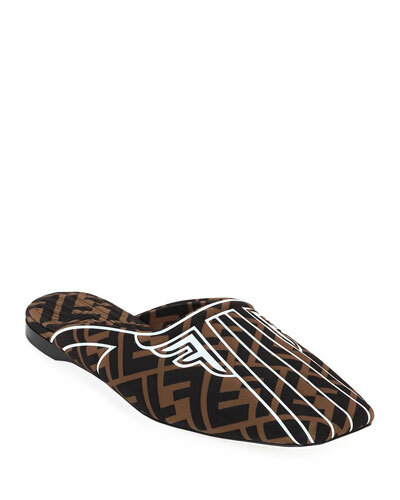 The house of Fendi is at the pinnacle of design, applying fine craftsmanship and innovative techniques to classic luxury styles. 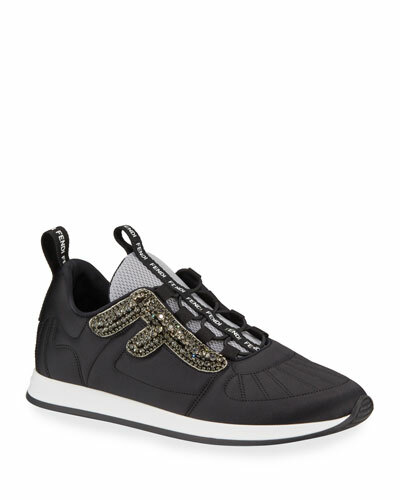 Nearly every shoe is bedecked with cool decorative details, such as exotic prints, geometric studded patterns, floral appliques, or embroidered knits. 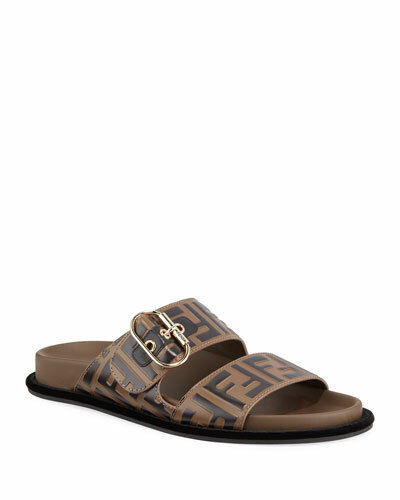 Discover the fabulous world of Fendi shoes for women at Neiman Marcus today. Bougeotte loafers in genuine water monitor lizard skin. 0.5" stacked flat heel with metal bee on back. Round toe. Keeper strap at notched vamp. Slide style. Leather lining. 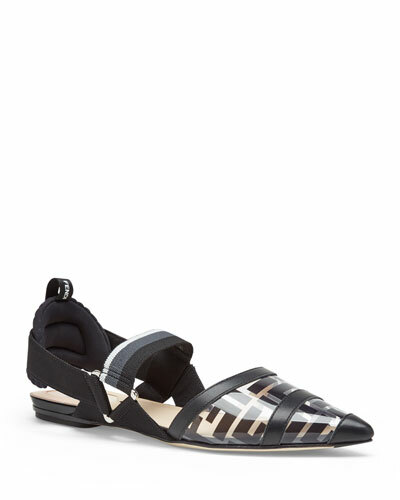 Cole Haan 2.ZeroGrand convertible mules in wool plaid with leather detail. Dyed sheep shearling (Viet Nam) lining. Full rubber outsole with concealed Grand OS® technology. Round toe. Textile lining. Imported. Laurence Dacade "Thelma" denim loafer-style mules. 2.8" stacked block heel. Round toe. Button keeper strap. Notched vamp. Slide style. Leather lining and sole. Made in Italy. Sam Edelman tumbled leather and woven raffia espadrille mule. 1.3" braided-jute platform. Round toe. Slide-on style. Metallic logo detail at side. Padded footbed. Rubber outsole.